Spring has begun, and with it comes a whole slew of Clarifai news and updates! Plus, check out some of the top headlines from the world of AI. If you'd like to get Clarifai updates direct to your inbox, sign up here or directly to your right in the embedded sign-up form. We’re excited to announce that the new and improved Clarifai Edge SDKs for Android and iOS are now available for general use! Unlike our Cloud API or On-Premises options, the Edge SDKs are for your mobile or edge devices and don’t rely on them being connected to the cloud or a private server. Instead, the Edge SDKs allow you to access our cutting-edge computer vision capabilities on your edge devices themselves, with benefits such as lower latency and scalable computation. How do you make search engines even more powerful? Add visual data to the mix. Amy Kim, Product Manager at Clarifai, explains how Clarifai Search is leveraging computer vision AI to power up queries. 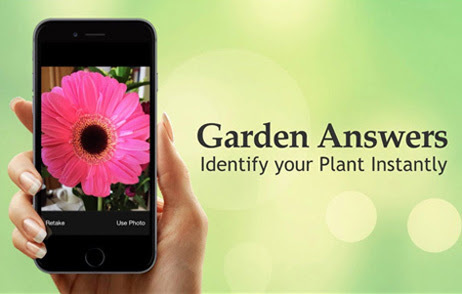 The My Garden Answers app recognizes an extensive variety of flora from across the globe. The app provides users with detailed information on over 20,000 plants, including where each originated from and the types of environments they best thrive in. We are thrilled to announce our strategic alliance with Boulder AI, one of the leading artificial intelligence vision system developers in the world. As two of the foremost computer vision AI companies, we will be partnering to combine our cutting edge visual recognition capabilities with Boulder AI's hardware and software competencies to power the Boulder AI DNNCam. "Clarifai visual AI models at the network edge gives the platform the almost magic ability to capture and deliver relevance within detected objects." -- said Darren Odom, CEO of Boulder AI. We’re thrilled to introduce Meng (JJ) Jiang, who will be leading our product team as we continue toward our mission of accelerating the progress of humanity with continually improving AI. In this post, meet JJ and discover his insights on AI today and its future. Heading to ISC West? We’ll be there with Ambarella to showcase Clarifai’s computer vision technology in action. Want to meet? Email us at info@Clarifai.com! Topic: Machine Learning-based Image Compression: Ready for Prime Time? What does Michael Gormish, Head of Research at Clarifai, think? What does Matt Zeiler, CEO of Clarifai, think? “Yoshua Bengio, Geoffrey Hinton, and Yann LeCun have each had a transformative impact on not just computing and AI, but almost all other scientific fields. The foundations of AI stemmed from these three experts, and it is especially exciting to see my former collaborators recognized for their groundbreaking work.